This is seriously a great product! I received a sample of this and was so intrigued that I ended up buying a few of tubes! If you want your lashes to have the volume, use this! Don't forget to curl your lashes to give them a double whammy (curl and volume)1! This mascara is not for the faint of heart! It is thick. No jokes! 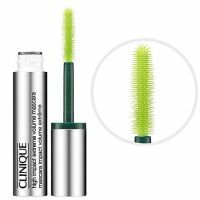 It's a thick, heavy mascara that will most certainly increase the volume of your lashes. The problem is that most people find it to be really clumpy. I don't have problems with mine clumping up, but when I do I know it's time to replace the tube anyway! The problem I do have is getting it to go on evenly. And keep it away from those spindly bottom lashes! It will be far too thick and will just smudge all over your skin.